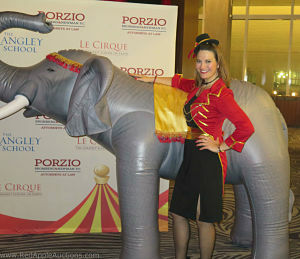 In April I worked a school fundraiser with a circus-theme. It was elegant, not campy. You’ll see that via the video below. This is a well-run auction, but as with every event, there are concerns during the planning stage. Part of my time with each client is spent hammering out the details, especially as it relates to the fundraising components of the night. Videos like these don’t show the pre-event concerns. Concerns about flow. Concerns about layout. Concerns about sound. Concerns about lighting, games, bid sheets, displays, and many other elements. This event used to be held on-campus. They moved it to an offsite venue last year and were the first organization to host an event in this hotel. There were growing pains. Concern: Are those issues resolved this year? There was a strong desire to not have a sit-down dinner and keep a cocktail vibe. But a 300-person, cocktail-styled auction is much more difficult to run than a sit-down dinner. Concern: How can we focus the crowd for the program? 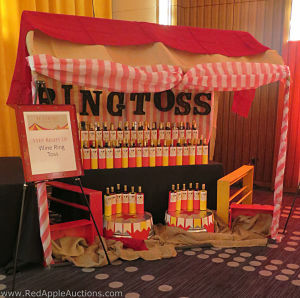 The original layout had three “rings” whereby activity would take place — the silent auction was ring 1, the bar was ring 2, and the stage (live auction) was ring 3. I was scheduled to work “in the round” but nixed that concept and had the stage moved. Concern: Would this new stage location still offer the convenience for me to walk off the stage and interact with the crowd? This organization sells most of its items online. Onsite, we had four fundraising components: a silent auction, a live auction, a Fund a Need, and a game. Concern: Sixteen live items, a Fund a Need, and a couple of speakers equals a one-hour program. Will guests stand for that length of time? Sound was an issue last year. Concern: Will the new equipment be enough for the audience to hear with clarity and distinction? Involve your fundraising auctioneer in your auction planning in advance. Share layouts, timelines, and ideas. 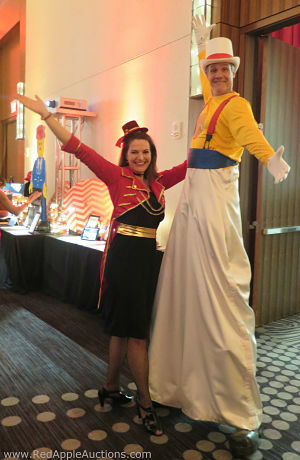 Your auctioneer’s suggestions can not only make a difference in the fundraising but also in how well-organized the event feels to guests.